1. You are awake, full of energy and feel great. A typical yoga asana class is a combination of relaxation, pranayama exercises, warming up exercises, yoga postures, final relaxation. 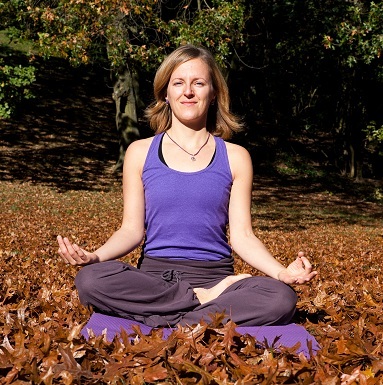 The initial relaxation helps you to be more focused and relaxed when starting your practice. Pranayama exercises (breathing exercises) will oxygenate all the cells, renew the cells and feed your body with the much needed pure oxygen, the fresh prana will recharge your body. The warming up exercises warm up all your muscles, tendons, ligaments and stretch your entire body to prepare for the yoga postures. The yoga postures stimulate the different energy centers (chakras) in your body to release blocked energy and hence re-energize your body and mind. Final relaxation makes sure you get all the benefits of your class by allowing the nervous system to relax and to calm your mind to prepare for your day. 2. You don’t need any stimulants such as coffee to wake up. The yoga class wakes up your physical body but also the mind. It feeds you with energy that you get through the practice. It’s a wonderful thing actually, you can recharge your body yourself without needing any external tools or things. 3. You feel proud of yourself. Getting up early, doing yoga, being full of vibrant energy gives you a radiant complexion, a smile on your face and calmness in your mind. People will notice the difference in you and will be asking what you’ve been up to 🙂 You can and will feel proud and happy that you take good care of your body, mind & soul by practicing yoga, and especially early morning yoga as to give you the benefits the entire day. 4. You will feel more zen. Pranayama and relaxation exercises, that will become more meditative with time, will bring you an inner calmness and peace of mind. You will feel less easily personally assaulted by aggressive or negative people and will be able to protect yourself from stress. Keep practicing your daily routine as to bring about this wonderful zen state. Ideally, you add a 10, 20 or 30 minute silent meditation before your yoga practice to get even more benefits. If the above interests you, then please Join the early morning yoga class that I’ll be teaching at the Sampoorna Yoga Studio every Tuesday from 7AM to 8AM (doors open at 6:45AM). Categories: Pranayama, Sampoorna, Yoga classes | Permalink. Lead the divine life of truth, love and purity. Live to serve Humanity.